For most people, pets are like children. You want them to be a little spoiled, but you also can’t afford to buy them everything. While Hollywood celebrities like to build huge doghouses the size of your garage for their Chihuahuas, or let their cats dine on fresh-off-the-boat tuna, those of us on a budget like to find the best deals and discounts available so we can spoil our four-legged friends as often as possible. There’s a wide range of discount pet supplies you can use to help them stay healthy, comfortable and even a bit spoiled. Playtime is essential for happy and healthy pets. It helps them to exercise and stay fit while having fun and burning off energy. If you have more than one pet, they may keep each other occupied and entertained, but it’s still important for them to have contact and playtime with people to keep them well-socialized. If your pet is your only furry child, you and your other family members will need to set aside a little bit of time each day for play. According to guidelines from the American Society for the Prevention of Cruelty to Animals (ASPCA), exercise and play help cats and dogs to avoid common misbehavior, reduce digestive and weight problems, keep muscles limber and help them sleep through the night. For dogs, games like tug-o-war and fetch are quick and easy to play with wholesale dog toys, like vinyl squeakers in fun shapes, colorful cloth ropes and rawhide bones. Cats are more prone to self-entertainment, but they do enjoy pouncing on squeaky toys and plush animals of their own. All of these items can be picked up inexpensively at the discount store. Keeping on top of pet hygiene doesn’t have to be expensive or time-consuming. 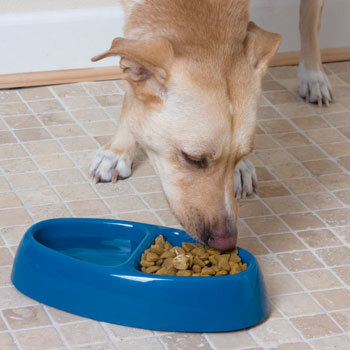 Some items available to help keep your home clean and fresh include heavy-duty pet training pads for house-breaking puppies, pet odor neutralizer and litter scoops. Daily brushing of long-haired breeds is important for comfort, cleanliness and a shiny coat. 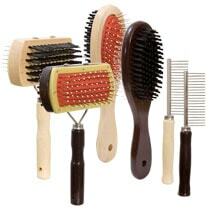 Especially for cats, a rubber-tipped wire brush used daily can prevent hairballs and shedding. Each animal should have its own brush. Fresh water is essential. Providing a clean water supply in a specific water dish for your cat or dog prevents dehydration and promotes good health. Using a sturdy stainless steel bowl full of water that is changed every few hours can help to keep your pet healthy and hydrated. Try to fill it from the same source every time, as cats and dogs have a heightened sense of smell and taste and they can tell the difference. Provide a separate bowl for each animal. They don’t have to be expensive to be useful, and they will last a long time. Rinse out food and water dishes several times a day and wash them regularly. Be sure to remove all soapy residue to avoid health problems, and keep the toilet bowl lids down if you have adventurous and curious pets. sounds like a nice selection with great deals! Great ideas. I can’t imagine not having a pet. Love that these are so affordable. I think it’s time for some new pet supplies. I could definitely use this. I have two very spoiled cats. Thanks for the info. We often visit the Dollar Tree when we are in need of pet supplies. We can often find what we are looking for at a much better price. I am a firm believer in making sure to get my dog the best dog food I can afford. Just as we need good food to stay healthy, we need to give our animals the best food possible because this will help them live a long life! Taking my dog for a walk and having him play with his toys is very important! Our pets are a big part of our family. I’m always picking buying something for them to make their live better. These look really affordable… love that! we consider our pets as members of the family, so we do our best to keep them happy and healthy just like the rest of us. Our dog is extremely spoiled, ahhaha!! So this sounds like a great site :-)! Thanks for sharing it with me! Thanks so much! What a great deal!! My two dogs are accustomed to being spoiled, so I need all the savings I can get. With three pets and four “grand-pets” to spoil, I need discount pet supplies! I try to get the cats new toys every so often, but they always want to play with boxes and milk rings instead. Thanks for sharing; I love to spoil my babies and love to save money while doing it… soo have to check Discount Pet Supplies out. I just got some toys for our chihuahua puppy. She has been chewing my shoes and I want to keep them, LOL. I haven’t ever really thought about the need to brush them daily. That totally makes sense, though, since it’s something we do daily too for ourselves. Now I want to go buy a bunch of play toys for my daughter’s cats. I love those silly things! We have two dogs, and these are all very important! We have a cat, dog and rabbit!!! Keeping clean areas for them is so important! 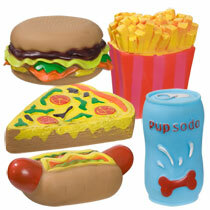 I never think to go to Dollar Tree, but my dog would love any of these things! I can’t wait for Spring. Poor guy needs some outdoor time!